In their announcement tweets, the tentative release dates given for the first volumes are “summer 2016” for Asterisk War and Re:Zero, and “2016” for Sword Oratoria. 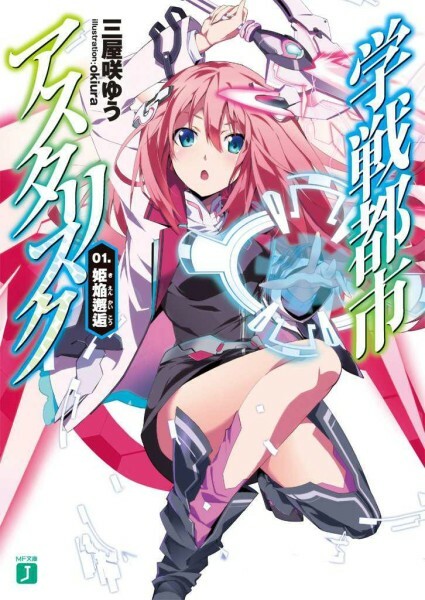 The light novel series for Asterisk War (or Gakusen Toshi Asterisk) began in 2012, and so far has eight volumes available in Japan. It has an ongoing manga adaptation (which was also licensed by Yen Press), and currently has an anime adaptation airing (which can be viewed on Crunchyroll). It will also be getting a PS Vita video game in Japan. This series is a “magic battle school” story, which will go along well with another upcoming Yen On release: The Irregular at Magic High School. Synopsis: The Academy City on the water, Rikka (otherwise known as Asterisk) is the world’s largest stage for the integrated battle entertainment, “Star Wars Festival.” The young boys and girls of the “Starpulse Generation” belonging to the six academies made their wishes with Shining Armaments in their hands, vying for supremacy—Amagiri Ayato is one of them. Ayato arrived at Rikka at the invitation of the Student Council President of the Seidoukan Academy, Claudia, and right after that he incurred the wrath of the “Petalblaze Witch” Julis, and ended up having to duel her. The greatest academy battle entertainment, begins here! 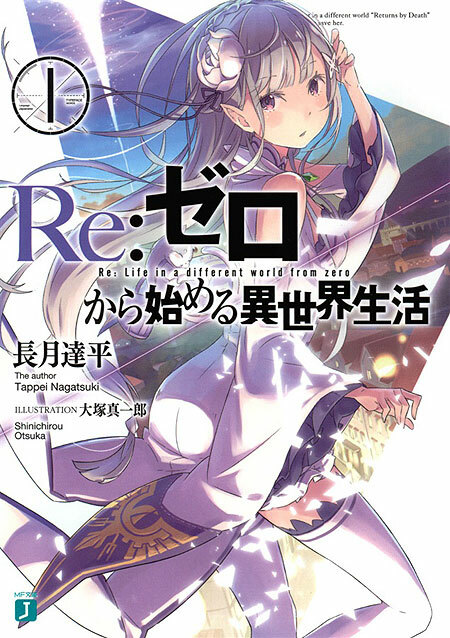 The full title for Re:Zero in Japan is Re:Zero kara Hajimeru Isekai Seikatsu, which translates to “Re: Life in a Different World from Zero.” This series began in 2014, and there are already seven volumes available in Japan (plus a side story volume). There are three manga adaptations, and Yen Press has announced a license on that front as well. Re:Zero has been announced to be getting an anime adaptation (presumably some time next year). This series is a “transported to a fantasy world” story, which seems to be a growing trend. Synopsis: Suddenly high school student Subaru Natsuki has been summoned to another world on the way back from the convenience store. With the biggest crisis of his life being summoned to another world and no sign of the one who summoned him, things become worse when he is attacked. But when he is saved by a mysterious silver-haired girl with a fairy cat, Subaru cooperates with the girl to return the favor. When they finally manage to get a clue, Subaru and the girl are attacked and killed by someone. Subaru then awakens in the place he was summoned and notices he gained the ability “Returns by Death.” A helpless boy that only has the ability to rewind time by dying. And beyond the despair can he save the girl from the fate of death? As you can guess from the title, this is a spin-off series for DanMachi. 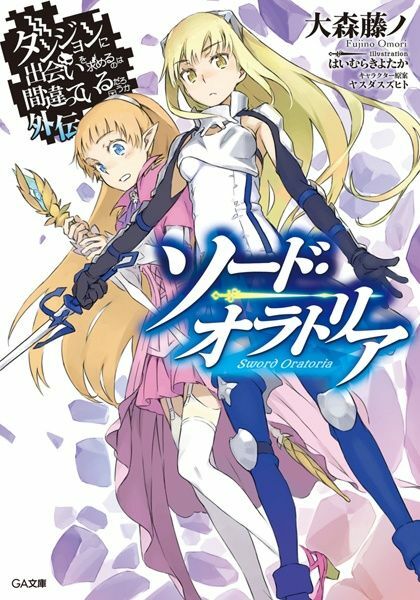 Sword Oratoria is written by the same author as the regular series, but features a different artist (instead of Suzuhito Yasuda it’s Kiyotaka Haimura, who is the illustrator for the Certain Magical Index light novels). This spin-off started in 2014, and so far there are five volumes available in Japan. The protagonist of this series is Aiz Wallenstein. Synopsis: A side story of Dungeon ni Deai wo Motomeru no wa Machigatteiru Darou ka. It covers the story of the strongest 1st class adventurer, Ais Wallenstein, the “Sword Princess,” and her desire to reach even greater heights with her friends in the Loki Familia. Those are some great pick ups from Yen Press. I’m especially looking forward to Re: Zero since I haven’t seen anything from that series ever since watching a teaser to the anime adaptation. Asterisk seems a pretty cool choice too. I wanted to read it ever since starting the anime so this works out quite nicely.